The lack of shallot seeds stock requires the effective and efficient management of shallot seeds for cultivation. 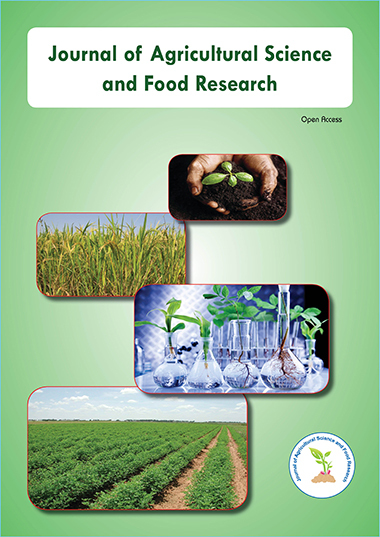 The objective of this study is to know the effect of age, form and cutting seed to the growth and production of shallot at dry land with low altitude. Treatment used in this experiment include Split- Split Plot Design with main factor seed age of 1 month (U1) and 2 months (U2); sub plot factor is intact seed form (B1), large form (B2), and small form (B3); and for sub-sub plot use cutting seed 25% (P1) and 50% (P2). The results on single factor for age of seed real has significant effect to plant height at the age of 35 DAP (Days After Planting) and 45 DAP, the number of shoots of 35 DAP and 45 DAP, number of dead plants 35 DAP. Seed form has significant effect to number of shoots at 45 HST. The cutting seed has significant effect to plant height, 35 DAP, death plants 35 DAP and 45 DAP. Interaction factor for seed age of two months and large form seed (U2B2) has significant effect to the production of 15.9 ton/ha. While the age factor of 1 month and cutting 50% (U1P2) has significant effect to death plant at 35 DAP up to 20.0%. The interaction between factors of age, form and cuts has no significant effect on all observed parameters.